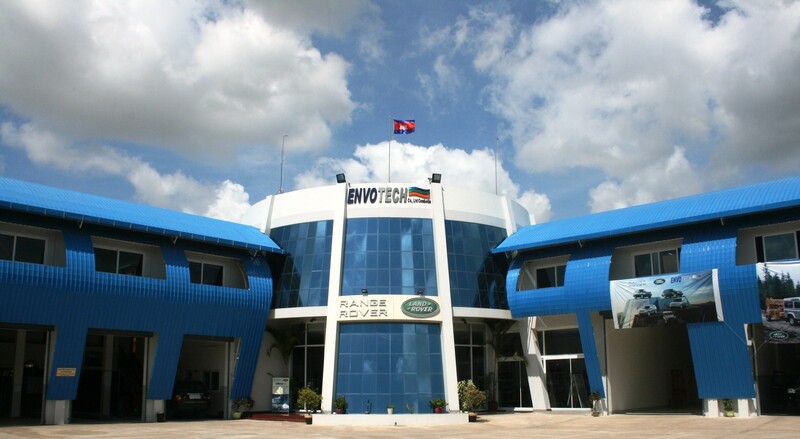 Just had the Landcruiser fully serviced at Envotech which is the only authorized LandRover Dealer in Cambodia. Why send a Toyota to a LandRover dealer ? 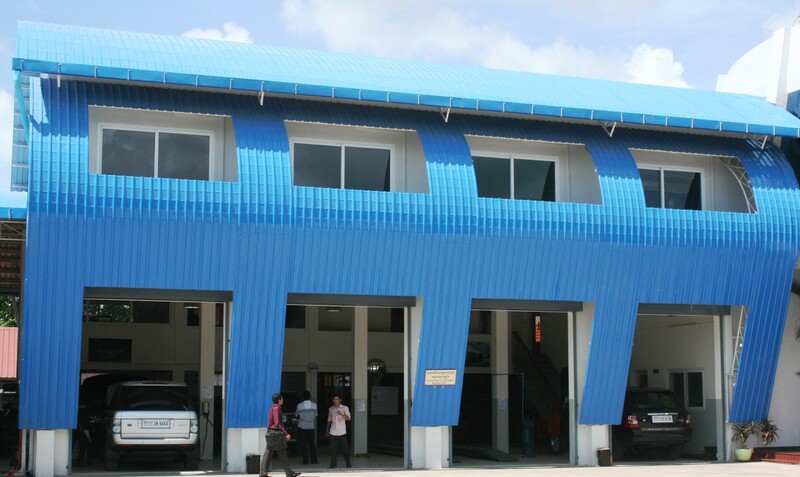 Well…the facilities are brand new and modern and as such are on of a kind here in Cambodia, the mechanics are well trained and most importantly…you will get your car back with its original parts and it will not have been stripped of anything worth selling by those working on it. I had new Toyota brake pads changed,a new rear door lock fitted ( Toyota ), air filter changed( Toyota ), oil changed, windscreen wipers changes, wheels aligned, the winch oiled and cleaned, the cv joints greased etc all for $300. Plus it was cleaned and polished within an inch of its life when I picked it up. I was in heaven out at Envotech as I love LandRovers. Mum and dad used to have a really old 7 seater when I was a little baby and it took the family 7 hours to gt up to the farm in it. It had flower power stickers on the door and was very cool. 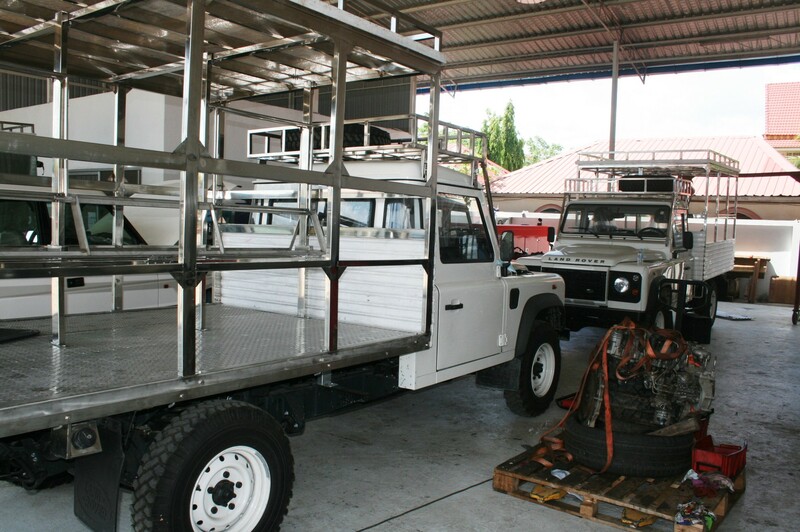 Anyways….one day I wouldn’t mind getting in to a turbo diesel defender TD5 or a nice Discovery. 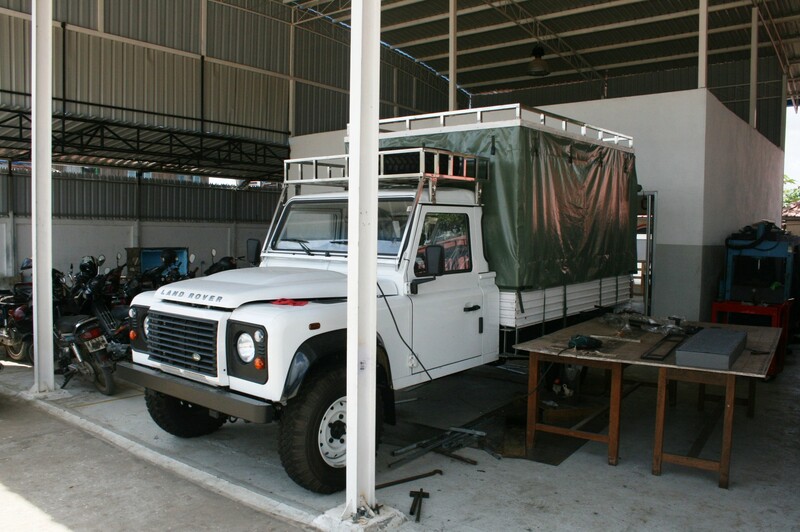 I was lucky enough to have Rob’s Discovery TD for a few hours down in Sihanoukville last week and it was fantastic to drive. Probably the only dangerous thing about Envotech is that is is the authorised dealer for Ironman 4×4 supplies so I am going to have to control myself everytime I go out there…..